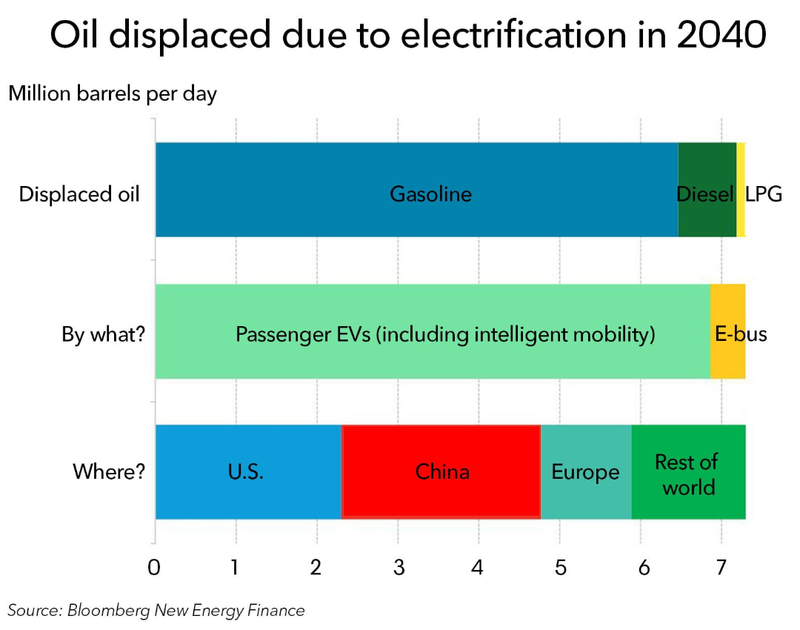 A recent report published by Bloomberg New Energy Finance argues that over 7mbpd of oil demand (millions of barrels of oil per day) will be displaced by electric vehicles by the year 2040. In a nutshell, electricity will replace gasoline and diesel combustion engines, resulting in lower crude oil demand in the coming decades. Of course, any student of physics understands the first law of thermodynamics, which states that energy can neither be created nor destroyed. It can only be transferred or converted from one form or another. The traditional argument (pitched by the oil and gas industry) has been that conversion to electric vehicles would still require power plants to generate electricity. And since the majority of power plants are still run on either coal or natural gas, electric vehicles won’t really fight climate change. Times, however, have changed. The price of solar energy continues to fall along with the cost to store such intermittent renewable energy. In fact, solar has gotten so cheap that the majority of new power generation capacity is now renewable, with solar accounting for a big chunk of that. The wide-scale adoption of electric vehicles combined with ever-cheaper solar power could tip the scale in the fight against climate change by the 2030’s – and that assumes zero technological innovation in the sector over the next decade. 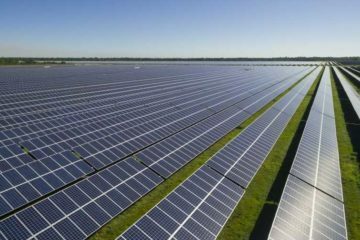 Sun Fund is working to create an investment platform which will interface with physical renewable energy assets, battery storage, EV charging stations and battery storage systems. Our goal is to accelerate efficient investment and ownership in such assets in a way that will allow individual investors to make a direct fractional investment in renewable energy assets and receive a proportional return. Click here to learn more.